Flowers. 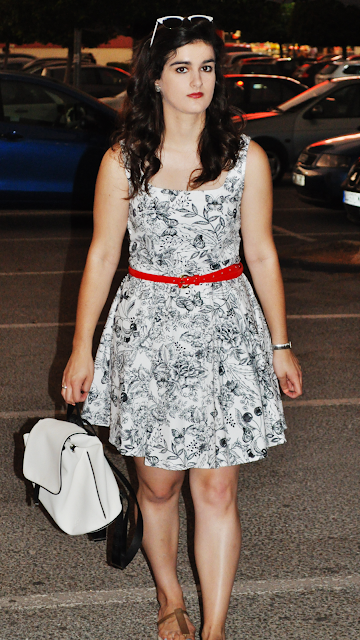 I think they are my favourite pattern when it comes to dresses or light blouses. 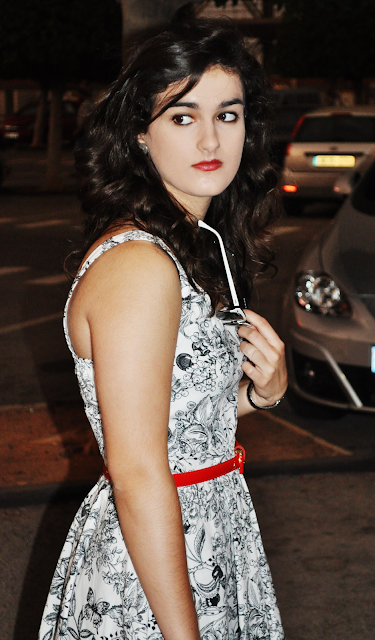 Some friends say that my sense for fashion is like ''stucked'' in a forest full or fairies, flowers and magical things. 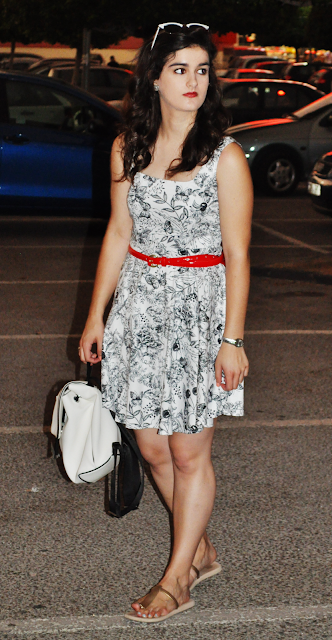 Well, you already know me, and how much I love floral dresses. Don't ask me why, it just came up like that. First of all, I was surprised on how fast the deliver was. The dress came in a very tiny box, so small than I thought the dress would go out of the box with lots of wrinkles, but it didn't! About the size, I ordered an M because of the size table said so: no size up or down, just order the size you usually wear. I also made some measurements and finally ordered it. And it was correct. It fits on the bust and hips (as the skirt has some volume, there's no much problem with it). The straps are a bit longer than it would had to be, but it always happen to me when buying dresses. They have two buttons on the back, so you can wear the straps on different ways: longer or shorter, maybe even crossed. The length of the dress is awesome: over the knees, with some volume (and the strong heavy fabric which is made of, helps the dress to stay in place) but not too short. It's also fresh and light although it's lined on the inside, and has a zipper on the back (that's the only part I think I'm having a little trouble with: it sometimes bring me problems to zip completely and I have to ask for help!). The pattern is even more lovely in real life than in the picture, as the colors don't really match the picture on the website: it looked like the pattern was dark blue, but it's black! (Although it said so on the description). I love the pattern of this dress. 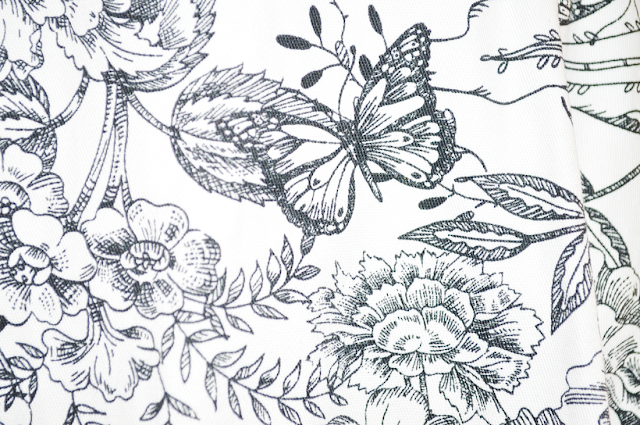 Black and white, flowers and butterflies - so lovely! 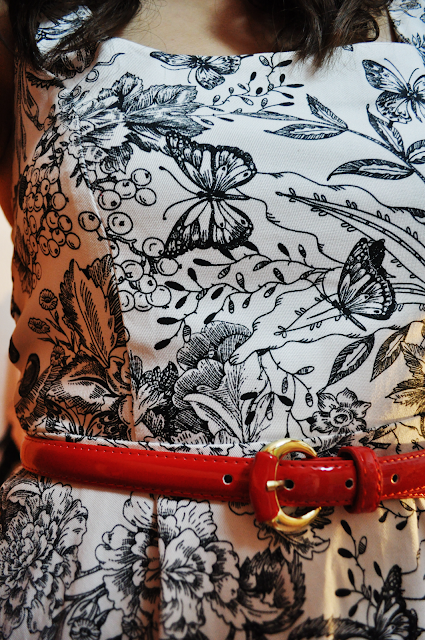 And the red belt is a lovely colour splash. 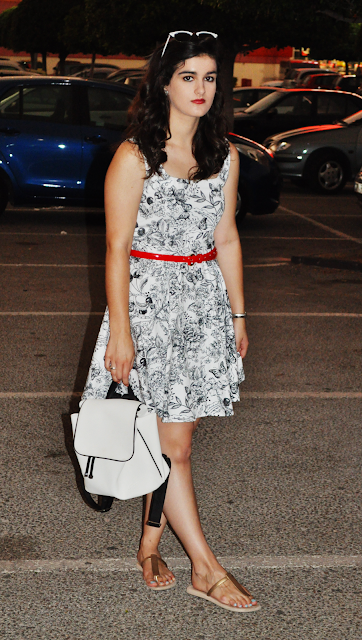 I love the b&w dress with the red accessory!